Racing and Sports highlight our standout plays for Australian TAB meetings on November 29. Six TAB meetings are held across Australia on this Thursday at Narromine, Wyong, Kyneton, Pakenham. Maclay and Bunbury. The Seven Falls can settle prominent. CAPTAIN'S LEGEND races on the quick back-up since winning at Hawkesbury last Wednesday. Found his peak now and is one of only a few who are proven at this distance. Can go on with it. THE SEVEN FALLS has been costly to punters despite running well this time in. Sharply up to a distance that should suit and he must be respected. JAZZLAND has placed at both runs back. Home track advantage always helps and he'll get a lovely run stalking the pace. Next best.SELECTIONS: Captain's Legend for the win. 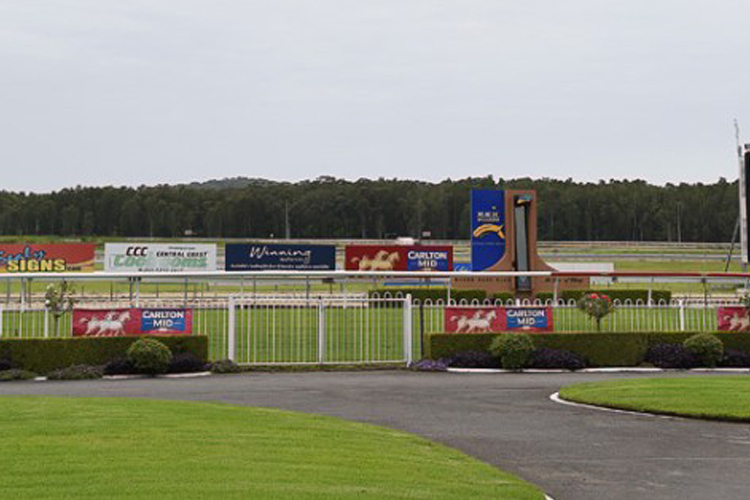 As a FREE Racing and Sports offer you can download the Wyong Computer Card here. Martharaptor can settle forward. CASTLE ROCK surely finds his race. Blocked for a run on straightening at Morphettville last start but found the line really well in third spot behind Havana Heat. Presses on to a 1875m Highweights maiden and just has to lump the weight to be winning this. COHERENCE has been going fairly in recent times. Settled too far back to be a winning possibility his past couple. Formidable jockey/trainer combination and you must respect. TRUE BELL was always going to struggle from a poor getaway last start. Prior form wasn't bad and he is worth another chance. SELECTIONS: Castle Rock to open proceedings. GRACIE BELLE gets the 3kg claim and may take a sit today. Placed as favourite FU and fitter can win with more to give. HIDDEN WARRANT showed on debut he has ability and resumes again with a strong trial under the belt. He’s likely to come back improved. CHEEKY MILA will come over and run along and should make the finish. SHENRON has more to offer 2U and gets the blinkers first time. SELECTIONS: # 6 Gracie Belle at the current $3.00 + looks the bet. SOMNIUM resumes for Team Hayes and has placed 2/3 FU. Had the figurers to win at best and Oliver is a key booking. DAISLEY resumes from the rail and will use it. Brings strong form and expect her to be more forward this time around. SIMPLY DREAMING peaks and has the figures but gets a tricky gate. SELECTIONS: Like Somnium in a competitive betting race but don’t want to see her get the drifts nearer post time.